We're a software development company that specializes in desiging and developing beautiful & effective websites, mobile applications, and scalable cloud applications. We combine proven development practices and beautiful design to create highly-effective applications that help your organization increase marketshare and lower bounce rates. DevBright focuses on coupling proven principles with measured results. We use a set of five core values to guide how we work with customers and architect our solutions. These values guide DevBright during the development process and will ensure that our software stands up to the tests of time, guarantee a much higher return on investment, and is loosely coupled enough to be easily extended to support future changes. Whether we deliver a solution for IT or marketing, everything we deliver is fully documented, unit tested, and will provide a positive lasting impact to you and to your organization. We bridge the gaps between Marketing and Development responsibilites. DevBright can help your business integrate and connect your Marketing and Sales solutions to your core business systems to make sure your business is tuned-in and connected to your customers. We can also streamline your development workflow between the your teams to increase your agility and implement your branding across all of your business applications. DevBright follows a strict combination of n-tier architecture patterns, SOLID design principles, and TDD / Unit Tested when creating new projects. Using these best practice approaches results in highly maintainable, extensible, and documented project that will withstand change and the test of time. Our goal is to always leave a customer in a better technical state than when we met. To do this, DevBright only develops code that we believe will provide that lasting value to our client's business. If we work closely with any development staff you may have already, we preach and teach our values to strenghen their team. Our development process starts by understanding our customer's goals for an application and ends with measuring the effectiveness of the solution. We use metrics like site traffic, bounce rates, helpdesk requests, and cost reduction to determine if our solution provided the high impact goals we set together. We value your return on investment at every turn. From the problem understanding phase all the way through to iterative releases, we look for ways to save money and maximixe quality. We don't overbuild or reinvent the wheel for any of our project work. We help our clients after the initial product launches by way of documentation and product support / product support training. We never leave a product in your hands and then wish you the best. We will be there for you. We're a software development company that specializes in designing and developing beautiful & effective websites, mobile applications, and scalable cloud applications. Proven development practices and beautiful design create highly-effective applications. Our tailored web applications will help you organize your messaging to customers scattered across various websites, mobile apps, and social media channels. They have been designed with the needs of Marketing in mind! We use proven development processes to ensure the smoothest, most successful deliverables are ready for market quickly and cost effectively. The folks at DevBright have been easy to work with, and always have great ideas. They are able to successfully blend technology and creativity. When future needs arise, I would welcome the opportunity to work with them again. DevBright has the ability to identify problems and quickly solve them. They have extremely talented web developers that can get the job done, no matter what I ask for, on time and on budget! 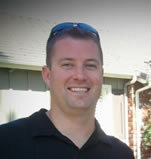 Lee Deehring, CEO // BumpBoxes, Inc.
DevBright was easy to work with and delivered a great product. We went back with lots of revisions and changes and they were extremely accommodating. In the end, we got exactly the site we envisioned. I would highly recommend their services to anyone looking for great value and service. 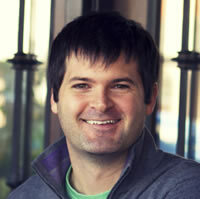 Austin Locke, CIO // ShareBuilders, Inc. The team at DevBright provided us with talented resources to help us successfully complete our system development initiatives. They were extremely flexible in terms of their ability to adjust to changing demands and tight timelines. We continue to utilize their services to help us complete our system programming tasks and envision continuing to do so in the future.